This is a band who aren’t so much back on form (they were never off form), but reminding us just how good they can be. Considering the number of great rock bands coming out of Northern Ireland, The Answer can quite rightly consider themselves to be one of the best – if not the best. It’s hard to believe it’s been ten years since the release of The Answer’s first album, Rise. It doesn’t feel that long at all – the songs still sound fresh and vital (I usually hate that word, but it works here). Their last album, released last year, seemed to come out with barely any fuss – in fact, I didn’t realize they’d released something until I started doing this review (yes, I occasionally do a bit of research into who I’m reviewing!) – which is kind of worrying as I was a pretty big fan of theirs when they first came out. So, how would this album stand up to their first couple of, quite frankly, masterpieces? Would this be the album that would bring me back to The Answer-fold? 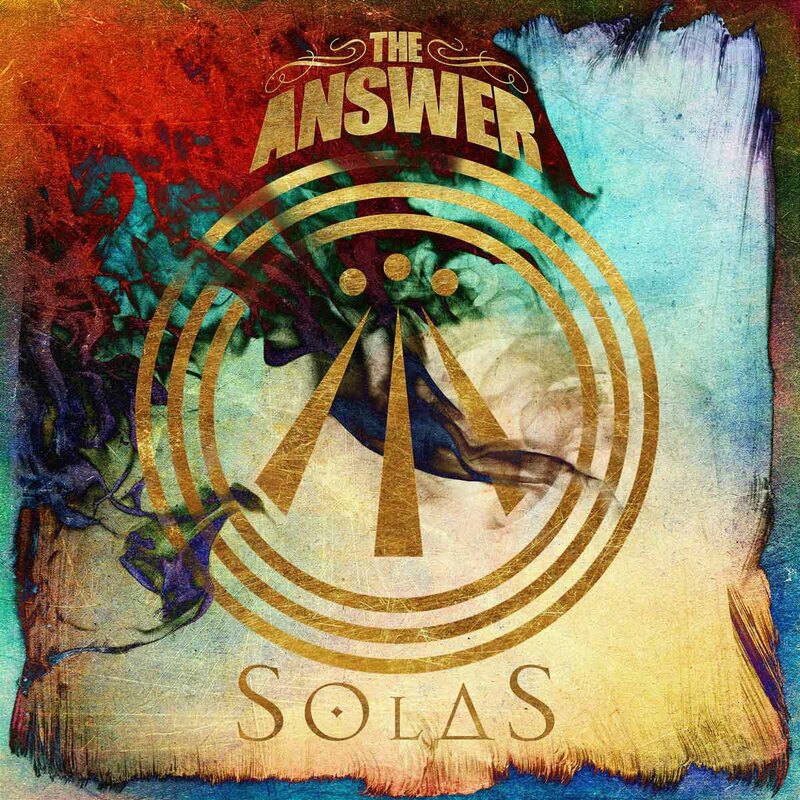 I guess the best place to start with this album (and, indeed, most albums) is at the beginning – Solas. I’ll be honest – if you haven’t listened to The Answer since Everyday Demons, then you’d be hard-pressed to know that this was them. Not in a bad way – but they have a Myles Kennedy style sound in this song, which is a ‘Very Good Thing.’ This is a great way to open any album. “Beautiful World” starts off almost ethereally, slowly crackling into life – this is a slow-burner of a song, more akin to a ‘lighters in the air’ song than a ‘headbang the smeg out of life’ one. Once it gets going though, it’s a cracker – there are echoes of Pink Floyd in, ironically, the echo effects in the background. It evokes images of Nightwish as well, but with a more masculine sound. “Battle Cry” is a strange song – I had to check a few times to make sure I was listening to the right album. It reminds me of what Mumford and Sons might have sounded like if they’d been from Northern Ireland. That’s not to say it’s a bad song – it’s surprisingly catchy. It’s just…well, strange. “Untrue Colour” gets us back on more regular ground – this is the sort of song that could quickly become a crowd-favourite for gigs. It’s pretty much the perfect mix for gigs as well – easy chorus to remember, great guitars and Cormac sounding uncannily like Bono in places. Good Bono though – and meant as a compliment. “In This Land” is a great song as well – it’s surprisingly understated for the most part, before the guitars come out. As you’d expect with The Answer, the guitars are brilliant – it’s basically what got me into them in the first place, so it’s good to see that they haven’t lost this. “Thief of Light” is one of those songs that you can listen to without having to think about it – though it’s a really good idea to listen to the lyrics, as even when you’re half-listening, you can tell they’re telling a story. I won’t spoil what the story is – I suspect each one of us will get a slightly different meaning, but it’s worth a listen (or several). It’s hard to believe you’re halfway through the album at this point – actually, you’re well over halfway through. It’s one of those albums that you can fire on and have it playing in the background while you’re making lunch. Alternatively, you can sit down and listen to what Cormac is singing, because that’s the area that this album truly excels in. Cormac’s voice is pretty much perfect for story-telling, which works well here. The last four tracks on this album are all fabulous – “Left Me Standing” is probably their best song since Too Far Gone, and takes me back to the early days of The Answer. This is the sort of song that, together with their guitar skills, got me into them as a band. And quite honestly, if this were the only song I heard off the new album, it’s the song that would get me back into them. You can keep your Snow Patrols – if you want to know just how good Northern Irish music can be, look no further.